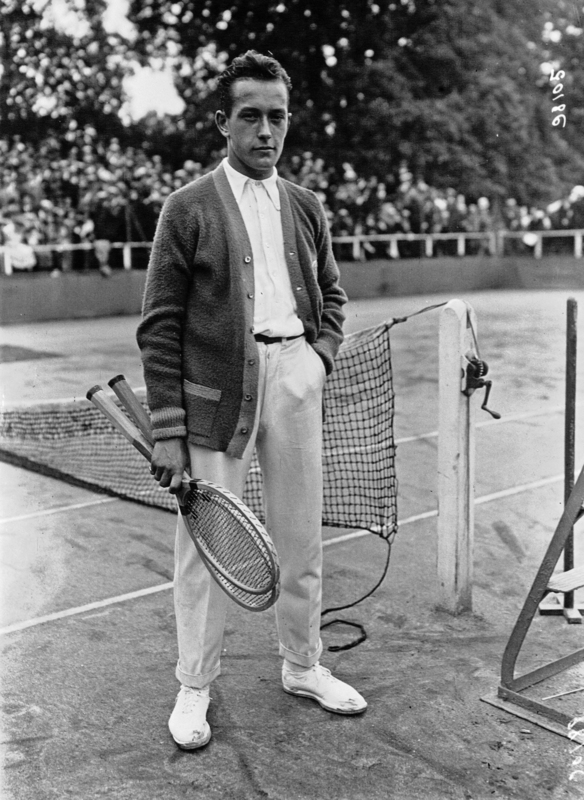 Server Style | Charting A Century of Tennis Attire. | A Continuous Lean. 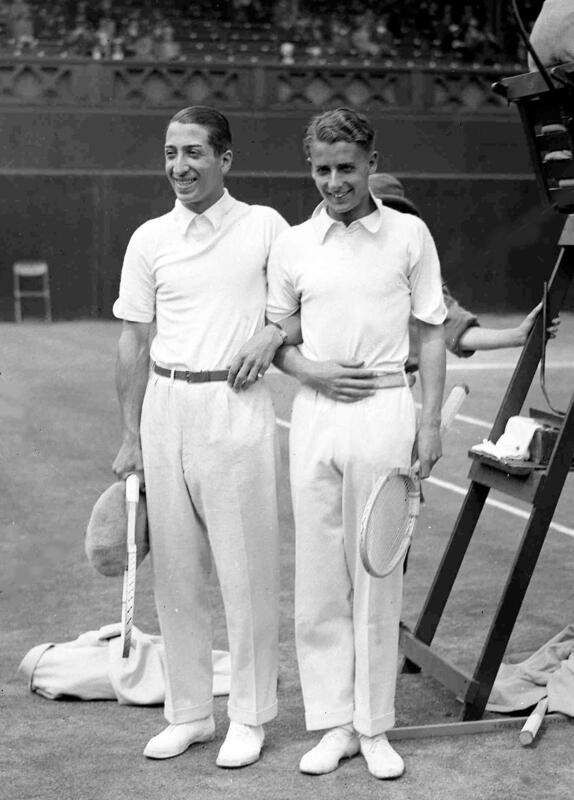 Server Style | Charting A Century of Tennis Attire. While the look of most major sports is dictated (quite literally) by uniformity, tennis stands on the opposite end of the spectrum, as one of the last few athletic pursuits that allows for freedom of choice. 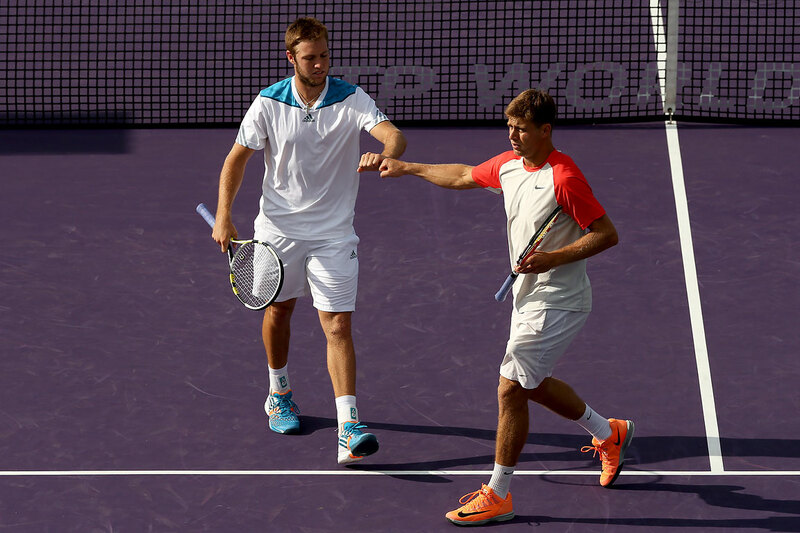 Barring the influence of their sponsors, and the implicit standards of good taste, most contemporary tennis players remain unrestricted in their clothing choices. The same could arguably be said about golfers, but the staid visor and baggy synthetic pant look has long ago erased any shred of style that existed out on the links. For tennis though, style is intrinsic to the very soul of the sport. On the court the player stands alone in front of an audience that picks their favorite racketeer based not only on their playing prowess, but also on their penchant for panache. 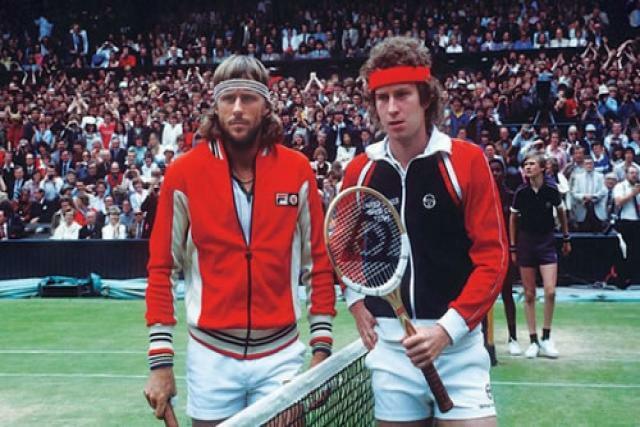 This is the sport that gave us not only understated essentials such as polo shirts and Stan Smiths, but also technicolor headbands and Andre Agassi’s â€œHot Lavaâ€ Nikes, so please join us as we celebrate the many faces and phases of tennis style over the years. It was during the 1870’s that tennis first became popular here in the states, as the sport (which was then known as lawn tennis) made it’s way from the United Kingdom to the backyards of America’s country clubs. 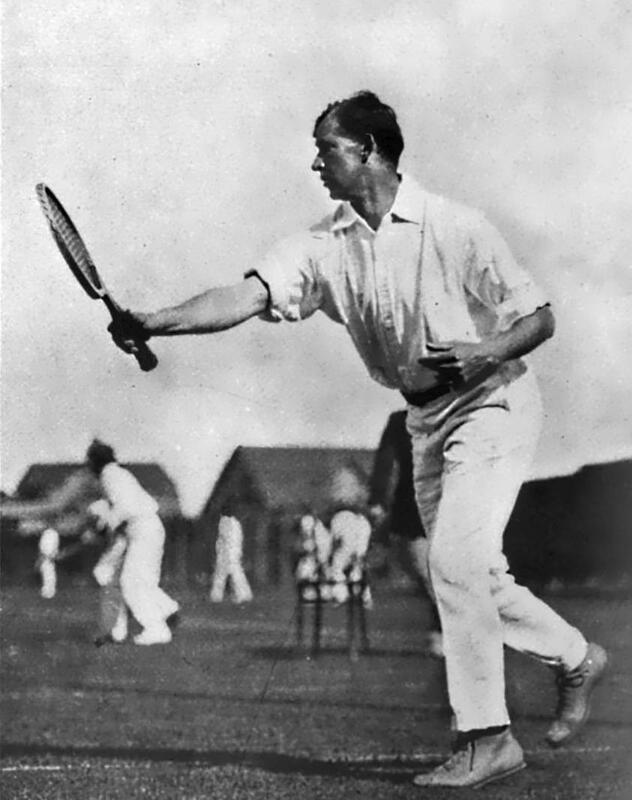 During the sport’s budding years, players took to the court in full length outfits that were in line with the upper class standards of that era. These all-white outfits consisted of cuffed flannel trousers, a long-sleeve button up shirt, and the occasional v-necked vest or sweater as decorum dictated that players cover up no matter how hot it might get out on the lawn. 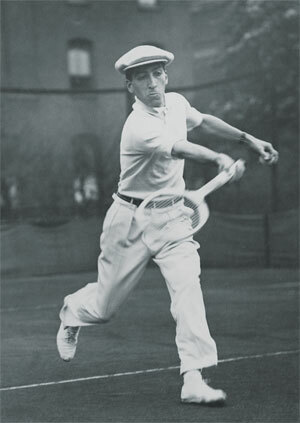 For decades this template prevailed, until the 1920’s, when Rene Lacoste, one of the sports premier players decided enough was enough. Tired of this uncomfortable uniform, Lacoste developed a short sleeved, ribbed cuff, pullover shirt that he dubbed the â€œtennis shirt.â€ We now associate this top more with polo than tennis, but during the early twentieth century this shirt revolutionized the game. Nonetheless, even as players shed their flannel trousers for high inseam shorts, and their button ups for tennis shirts, they never did lose that white on white palate. It would seem that during this time, anything of color (aside from a navy belt, or a pair of tan bucks) was out of the question. Although it was in the 20’s and 30’s that players like Lacoste began to inject a bit of personality into their game day rigs, as evidenced by his signature crocodile logo. These individual emblems and slight tweaks paved the way for the eccentric outfits of today, yet throughout the mid century this progression was still slow and steady. Even all the way up to the early seventies, pros continued to favor an all-white look that echoed the outfits of players from a century ago, the only difference being that everything was now quite a bit shorter and slimmer. 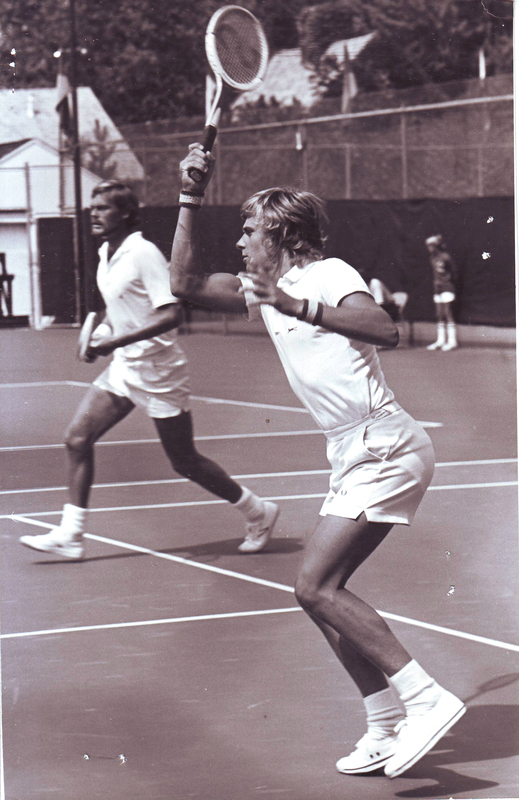 This all began to change during the late seventies, when a variety of factors including sponsorships, publicity, and an overall more relaxed attitude allowed for more vibrant athletic attire, not only in tennis, but in all sports. 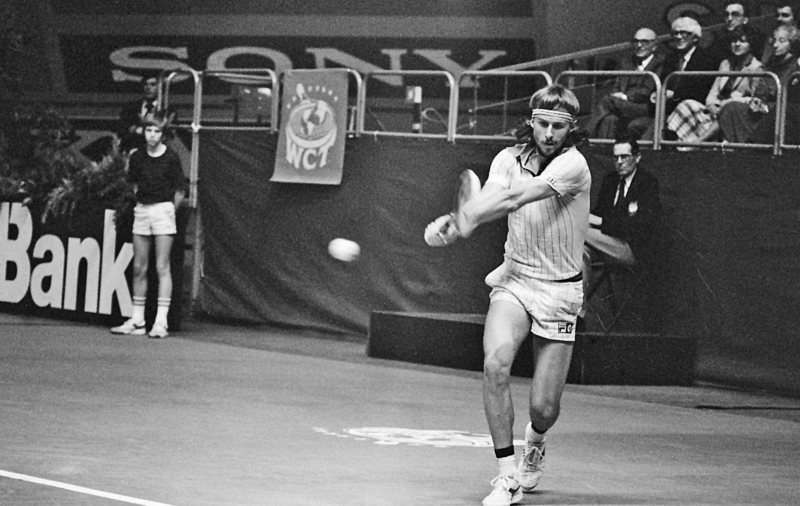 This change can be seen in the two photos of Bjorn Borg, the one above is from the early seventies, while the one below is from 1979. By the turn of the century Borg has swapped out his ivory attire for a patterned outfit, two different patterns in fact. Additionally his hair is longer and he’s began to don his signature headband (a look which Richie Tenenbaum would later pilfer.) Finally, it’s worth pointing out that both his shoes and his socks now have some color to them. Not a lot of color, but just enough. By the mid-eighties colors and patterns are everywhere, as are larger emblems, messier hair, and recognizable sneakers. If Bjorn Borg was the progressive of seventies tennis style, then Andre Agassi is his nineties counterpart. 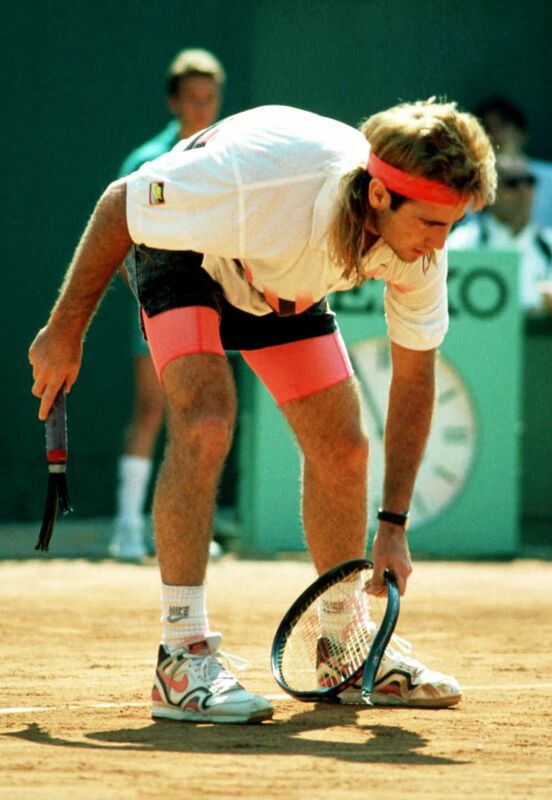 Agassi took all of the dominant court trends of the eighties and cranked them up to eleven. His polos were the brightest polos, his mane rivaled Farrah Fawcett’s hair (in fact Agassi actually wore a wig during the early nineties), his headbands bordered on being surrealist works of art. Or at least backdrops from Miami Vice. 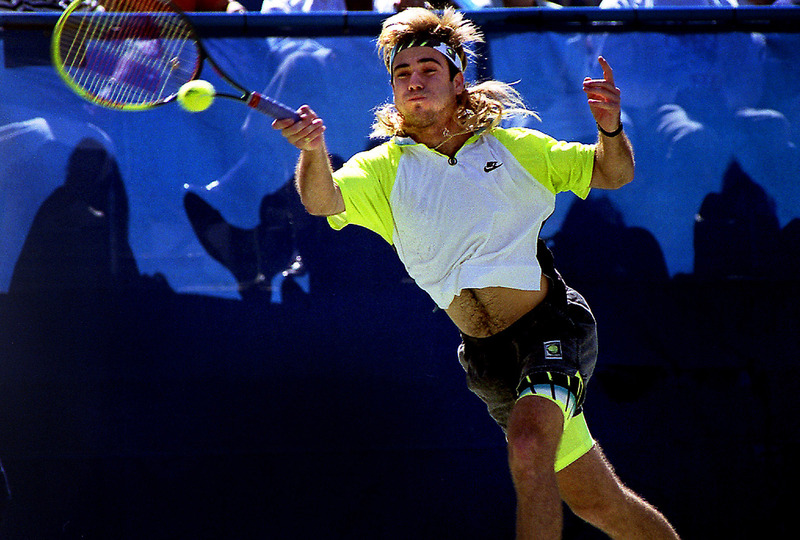 Other players would follow suit, but by his own admission, Agassi was the epitome of nineties athletic excess and his attire represented the peak of tennis’ flamboyant fashions. As the sport advanced into the new millennium, performance not panache became the driving force behind a pro’s chosen attire as can be seen in the below photos from a recent tournament. The kits are still colorful but the tones are now more tame, and patterns are few and far between. Emblems though, are still quite prevalent, which is a clear byproduct of the power of sponsors in the modern sporting era. If there’s one area that is even more vibrant, it’s footwear, as brands tend to adhere to the idea that the brighter the shoe, the easier it is for fans to recognize it in the store. No comment on Roger Federer? He has a very classic style, as well as some interesting choices like his Darth Federer look from a few years ago or his Wimbledon sport coat. 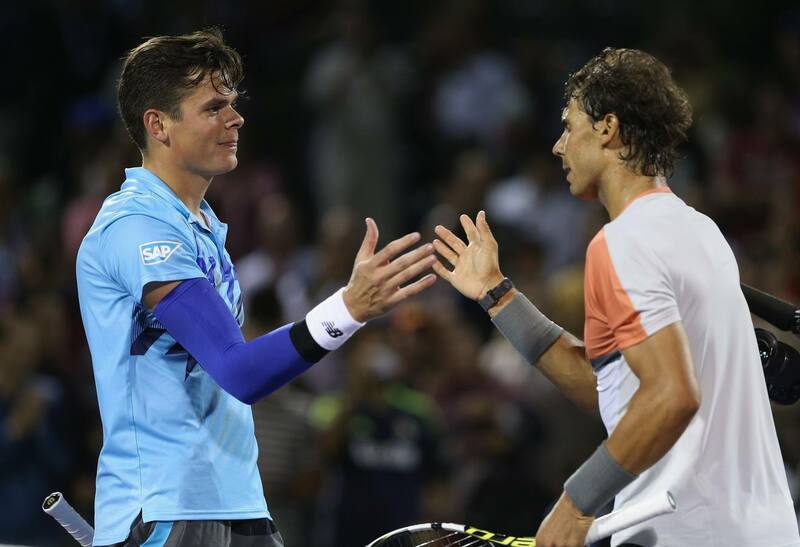 Don’t forget Nadal’s capri pants. Argh. Great collection of pix. I was actually startled me by the overall consistency of tennis “uniforms.” I have an old pic of a great-aunt in one of those long dresses with her male playing partner in whites with a sash instead of a belt. Really like the old Tretorns on Borg’s partner. McEnroe looks surprisingly together in Sergio Tacchini, even if he wields that racquet as though he’s going to hit somebody. 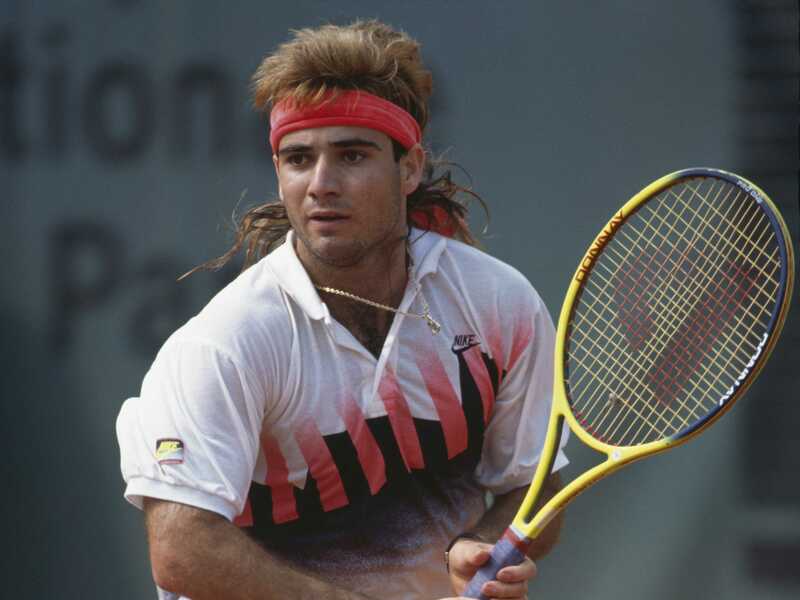 But, no matter how well he played, Agassi always looked like a refugee from Whitesnake to me. 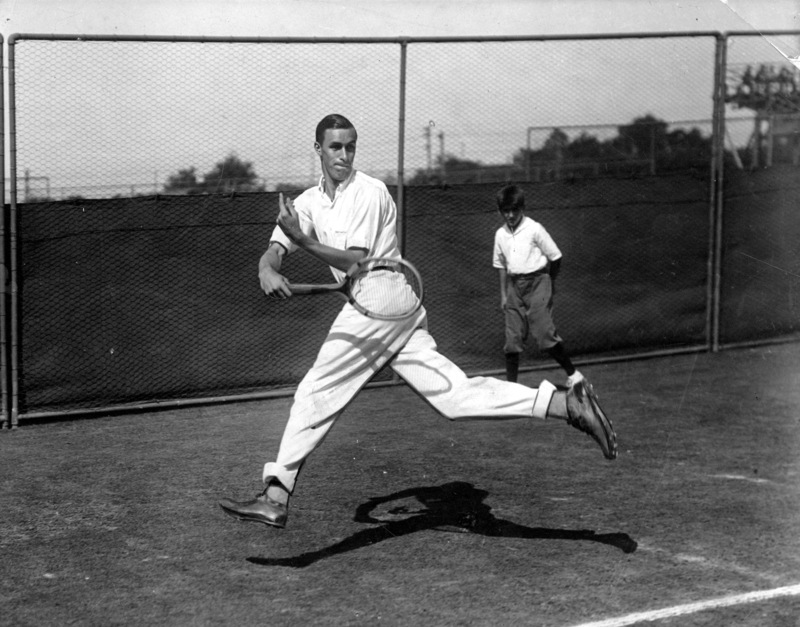 Poor Bill Tilden: even though it’s been 60 years since he died, the only pic you could find has a boy in the background. I too was surprised of no mention of Roger Federer because he is after all a very snazzy dresser with impeccable taste and a favorite of Vogue’s Anna Wintour. That being said, this was a post of nostalgic intent I suppose and these tennis players of past are some of the most sartorially inclined in not just tennis but sports history.